Since 1903, the Society has been helping children in remote mountain areas receive an education. NSDAR supports six schools in the Appalachian region. Two of these have been designated DAR Schools. They are Kate Duncan Smith DAR School in Alabama, and Tamassee DAR School in South Carolina. Kate Duncan Smith DAR School (KDS), established on Gunter Mountain by the Alabama DAR, is a day school, which educates local children from four-year-old kindergarten through 12th grade. Enrollment averages 1,300 students yearly. Special emphasis is placed on responsible citizenship, academic achievement, and horticultural and computer skills. Preparation for college and vocational training are important parts of the curriculum. 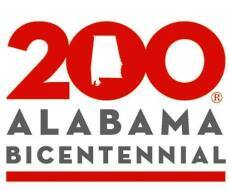 The school receives funding through the National Society Daughters of the American Revolution, the Alabama Society DAR, many other state societies, and individual contributions from DAR members in Alabama and throughout the nation. In 1924, the Alabama Society of the Daughters of the American Revolution (DAR) opened Kate Duncan Smith School after a multi-year project to acquire the land and construct the initial buildings. The goal was to provide a patriotic education dedicated to academic achievement and service to “God, Home, and Country” for the people of Gunter Mountain. The National Society of the Daughters of the American Revolution (NSDAR) designated the school as a nationally recognized DAR school in 1928. Now a collaborative effort between the DAR, the Marshall County Board of Education, and the local citizens, it has remained a public school open to all of the children of the Gunter Mountain region. The present campus, consisting of approximately 240 acres, includes the remaining largely intact “old campus” that encompassed 100 acres as well as twelve buildings constructed between 1924 and 1957 and a 1937 water tower now used as a bell tower. Influenced by the Arts and Crafts Movement, school officials constructed the buildings, sidewalks, bleachers, and entrance columns from native materials including fieldstone, cut sandstone, and pine logs. Kate Duncan Smith Daughters of the American Revolution School is one of only two schools designated DAR schools by NSDAR. Fifteen of the original 100 acres were listed in the National Register of Historic Places in 2002.